Staff Sgt. 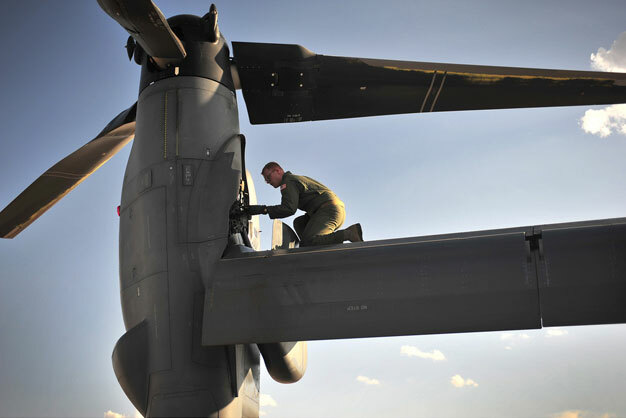 Casey Spang inspects one of the tilt-rotors on a CV-22 Osprey prior to takeoff on the flightline at Cannon Air Force Base, N.M. The 20th Special Operations Squadron conducted a routine training flight over Melrose Air Force Range, N.M. Spang is a 20th SOS flight engineer. US Air Force photo by Airman 1st Class Alexxis Pons Abascal.